Helman v Bank of America Case Analysis: Who is The Least Sophisticated Consumer? So, who is the “least sophisticated consumer”? The Eleventh Circuit Court of Appeals considered that issue in the case of Helman v. Bank of America, 2017 WL 1350728 (11th Cir. April 12, 2017). Gayle Helman was a discharged debtor who received a mortgage statement from Bank of America. 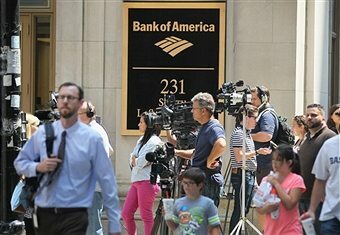 The mortgage statement was marked “FOR INFORMATIONAL PURPOSES” and also contained a disclosure indicating that Bank of America’s records indicated that the debt was discharged in bankruptcy and therefore no longer had a personal obligation to pay the debt. The debtor argued that the mortgage statement, despite these disclosures, was confusing and misleading to the least sophisticated consumer as it implied that a personal obligation to repay the debt remained. On appeal, the Eleventh Circuit determined that the least-sophisticated-consumer standard was an objective standard that did not require proof of actual deception. However, the Court also determined that in construing what was misleading or deceptive to the least sophisticated consumer, such least sophisticated consumer must be considered to possess a rudimentary amount of information (for example, the effect of a bankruptcy discharge) and the ability to read a collection notice with common-sense care. The Court indicated that the least-sophisticated-consumer standard would protect the gullible, but that it would not extend to “bizarre or idiosyncratic interpretations” by a debtor. A reasonableness requirement remains when considering whether a communication was misleading or deceptive even to a least sophisticated consumer. Note that this is a brief overview of some of the provisions of the FDCPA and FCCPA. There are important differences between the two Acts and some actions that might not be actionable under one may be actionable under the other. This area of the law is complex and you should seek the advice of an attorney if you have questions about this area of the law.